Throughout the year, Riverview Recreation Park plays host to all kinds of events, from corporate parties, to weddings, quinceañeras, and even a Halloween haunted event. However, for over 20 years we’ve been the home to the Inland Empire’s best Renaissance event. The Koroneburg Renaissance Festival takes place every year for six weekends beginning Memorial Day weekend. With next weekend being the opening to the 2018 season, we thought it would be an appropriate time to introduce you to the event and everything it has to offer. In 1998, the first Koroneburg Festival opened with the idea of being a truly educational, reenactment-based festival. The goal was simple; build a permanent Renaissance village that would be focused on historical accuracy and education. This festival would be interactive, allowing tons of opportunity for festivalgoers to live a slice of history. In 2017, after a one-year break, the festival was reopened under new management. Their vision was to enhance the glory that the original dream shared. This season opened to record attendance and more excitement than ever. The festival is a thriving favorite event for Renaissance enthusiasts and local visitors alike. Since it’s return, the Koroneburg Festival has received tons of great reviews. As authentic as it is enchanting, guests who attend absolutely love the experience. 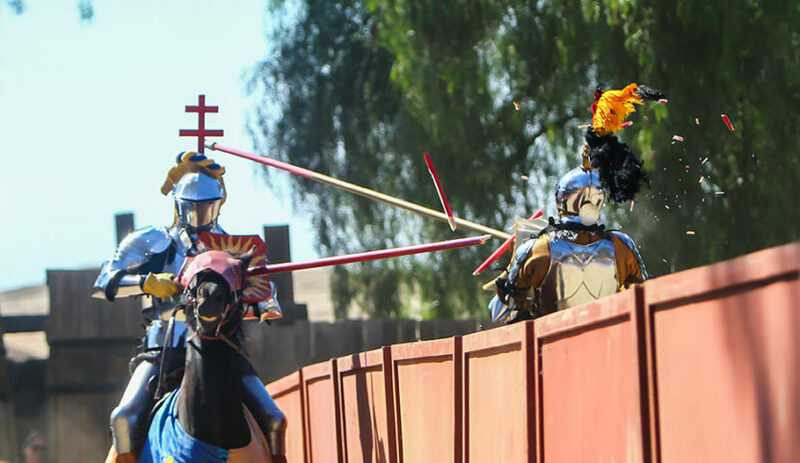 From the amazing entertainment to authentic jousting, guests are wowed by everything Koroneburg has to offer. Why Should You Check Out The Koroneburg Renaissance Festival? No matter who you are, from Renaissance enthusiasts to local families, from cosplayers to casual observers, Koroneburg has something for you. If you’re looking for history, you can check out a working trebuchet demonstration, weapons presentation, and a musket and canon fire show. For the excitement seekers, there is a live jousting tournament featuring the World Joust athletes! Unlike other local jousting events, this tournament isn’t acted out and full of false blood. It’s a real competition, testing the skills of our jousters as they demonstrate their mastery of the lance. After the tournament, visit the fire-eating, sword juggling, axe throwing spectacles around the village. If you’re more into stage entertainment, there are dozens of great acts featuring comedy, music, dance, and magic. Koroneburg’s longstanding Gypsy Magic Show is an interactive, child friendly magic show that the crowd loves year after year. The Washing Well Wenches always get the laughs with their adult-oriented comedy show. And Koroneburg features fantastic musicians, like Enchanted Realms, The Dread Crew of Oddwood, and the Poxy Boggards. And you can’t forget about the food! German fare including bratwurst, Cornish hen, meat pies, and other German “comfort food”. There are pastries abound, fresh baked Renaissance recipe bread, and tons of sweets. And don’t forget traditional Renaissance faire food, like bangers & mash and the giant turkey leg. And for the adults, there’s the famous Koroneburg Pub Crawl, featuring ale samplings, axe throwing, and a concert! Riverview Recreation Park invites you to come see this Inland Empire treasure for yourself. Hop on over to the Koroneburg Renaissance Festival site to get your tickets today!